A group of researchers is recently focused on coming up with a cure for skin cancer that developed from a severe skin disease called recessive dystrophic epidermolysis bullosa (RDEB). This medical progress is especially significant since children diagnosed with RDEB often develop life-threatening skin cancer as they grow old. Epidermolysis bullosa is a genetic condition that causes a patient’s skin to become very vulnerable. A simple scratch can cause blisters on a patient’s skin. According to the Genetics Home Reference website, young adults who are diagnosed with this condition “have a very high risk of developing a form of skin cancer called squamous cell carcinoma.” The said cancer is often “unusually aggressive” and fatal. 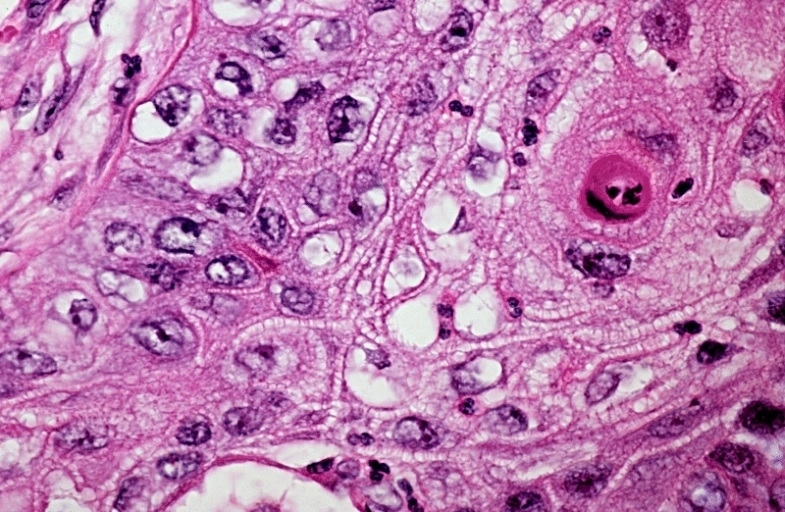 The Clinical Cancer Research published the study this month (via Science Daily) confirming that scientists from Sidney Kimmel Cancer Center – Jefferson Health found a potential treatment for this type of cancer. The drug treatment will reportedly be tested in a clinical trial that will start this year. SKCC’s Dr. Andrew South said in a statement that they are hoping the medication will become an effective cure for this type of cancer. "If we can reduce the cancer, or even reduce the spread of the cancer, that is going to improve patients' quality of life and extend their lifespan," Dr. South added. The same report pointed out that the cancer squamous cell carcinoma can also be developed when someone has been extremely exposed to the sun. However, it can be averted easily, especially when diagnosed at an early stage. Unfortunately, this skin cancer can become quickly fatal for patients who have pre-existing conditions of epidermolysis bullosa.